The Department of Defense has been hosting the Warrior Games since 2010. 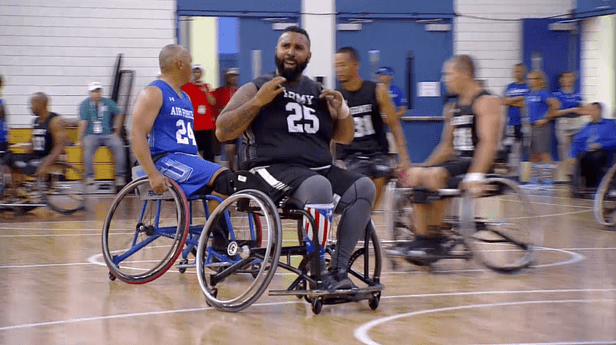 These unique games give wounded service members the opportunity to compete against one another in a supportive atmosphere. 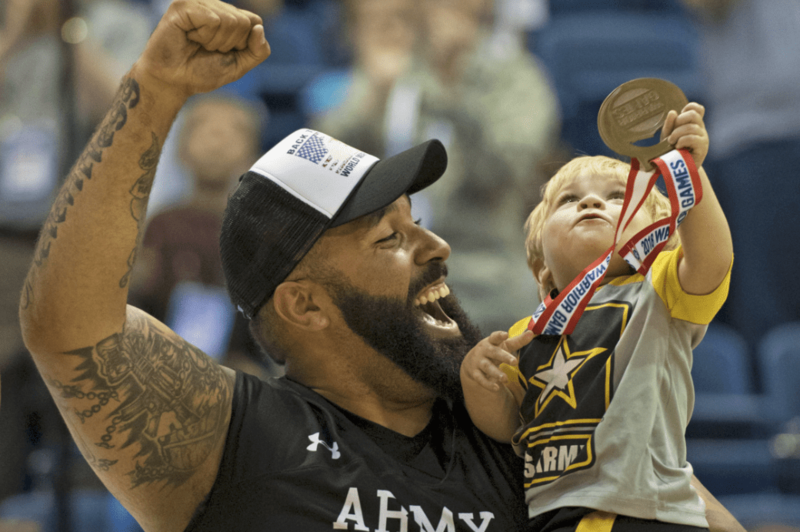 In 2018, the Warrior Games saw 300 adaptive athletes from various branches of the armed forces compete. One of these fierce competitors was Retired Army Sgt. Christopher McGinnis. McGinnis was raised in a small town in upstate New York. As a kid, his excelled on the field, becoming a star football player. His talents eventually brought him to college, but his football career would end as the result of a nagging injury. He then enlisted in the military, hoping to give back to his country. He eventually ended up in Afghanistan. 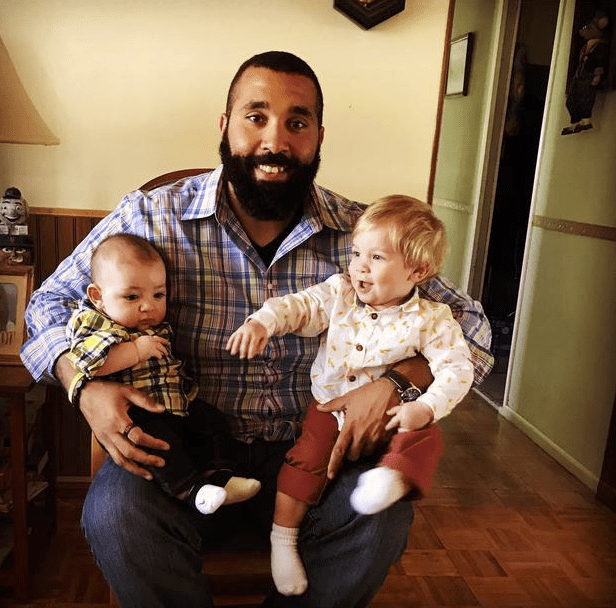 In 2013, just a few weeks into his deployment, McGinnis encountered indirect fire. The aftermath would leave him with a severely injured right knee. “I guess I didn’t know the severity of it at the time,” says McGinnis. “I’d come back from any mission that we had… and my knee would be the size of a basketball.” McGinnis fought through the pain for as long as he could, but soon found it to be unbearable. 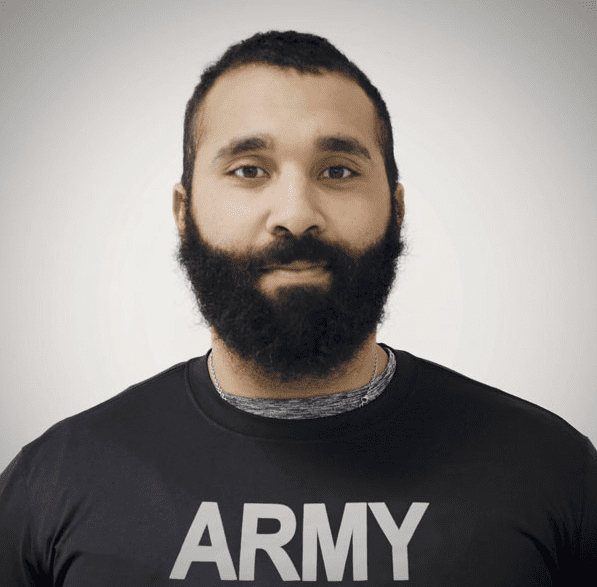 After seeking medical help, he ended up at the Walter Reed National Military Medical Center. Over the course of three years, he would need five surgeries. 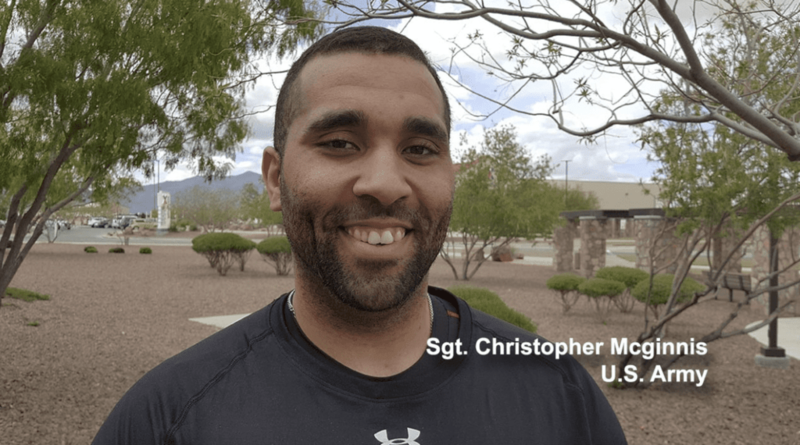 With a plate and seven screws in his knee, his military career was over. Now, McGinnis also needed to accept that the active lifestyle that he had grown accustomed to would never be the same. He fell into a “deep, deep depression,” and struggled to find purpose in life. “Having the doctor come in and tell you, ‘The likelihood of you ever running again is slim to none’ — that was really a shot to my ego, and a shot to the gut, too,” describes McGinnis. On the surface, McGinnis reveals little about the challenges he has faced and overcome. Aside from his slight limp, you wouldn’t suspect anything from a man with such a warm personality. 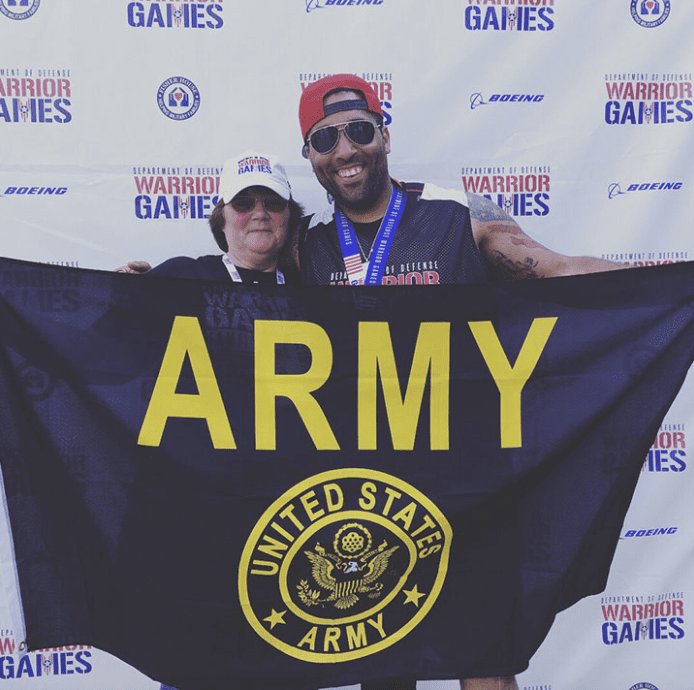 “No matter what injuries that we’ve sustained, no matter where we are mentally, we’re not down and out of the fight,” explains McGinnis, who took on the role as leader for just about all of his teams in the 2018 Warrior Games. “When we’re out here competing, we’re after each other. We’ll dog you, we’ll do whatever it takes,” he says with a smile. “Obviously, Team Army is going to be No. 1 no matter what.” McGinnis is looking forward to his chance to try out for the Edinboro University of Pennsylvania wheelchair basketball team.